Kuleto Estate is located in the eastern edge of the Napa Valley overlooking Lake Hennessey and the town of Rutherford. Your Premiere Napa Valley lot of Kuleto Cabernet Sauvignon is aged in 100 percent French oak barrels. The wine offers aromas of blackberry, candied fruits and sweet herbs with silky tannins. 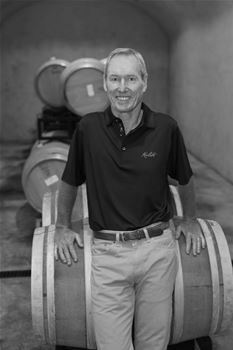 For Winemaker, John Clews, Kuleto wines embody the complex diversity and understated elegance of this unique mountaintop estate. With over 25 years of experience in the wine industry, John?? ?s belief of being a steward of the land coupled with his painstaking quality standards are a leading force for Kuleto?? ?s small portfolio of exceptional wines. John started his career as a London accountant, but his passion for wine led him to swap his note pad for a crush pad and life as a full-time winemaker. Having received his degree at the University of Cape Town, the Rhodesia native discovered his passion for wine while attending college and quickly became enthralled with the art of winemaking. In pursuit of his dream, he attend the University of California, Davis where he was awarded the prestigious M.A. Amerine Research Scholarship from the Wine Spectator and earned his M.S. in Viticulture and Enology. ?? ?While I attended Davis, I worked almost full time for the best wine shop in Sacramento, Corti Bros, where I thought I learned as much as I did at Davis.??? After graduation, John went on to work harvests at Preston Winery in the Dry Creek Valley and Newton Winery in St. Helena as the cellar master. With a well-rounded background working with various appellations and varietals, John earned a position as winemaker at Konocti in Lake County. He has since worked at Steele Winery in Lake County as General Manager/ Chief Enologist, Clos Du Val in Napa as Head Winemaker/Chief Operations Officer and most recently, E & J Gallo as Red Wine Manager. John believes the climate, soils and rich history make Napa Valley a special place to make wine. He describes Kuleto Estate as ?? ?exquisite, beautiful and producing strong flavorful mountain wines.??? His typical day at Kuleto begins with meeting with the cellar crew and vineyard manager, working in the cellar, and anticipating and planning for future vintages and bottlings. When time allows, he enjoys interacting with guests in the Kuleto tasting room and his favorite thing to do at Kuleto is walk through the vineyards. In his free time he enjoys staying active in the outdoors by hiking, cycling and playing tennis in addition to reading and listening to classical music. His favorite place to travel is Europe to experience the different cultures, food and wine. John lives in Napa with his wife, Lisa, and three cats, Bruiser, Zam Zam and Tempest.